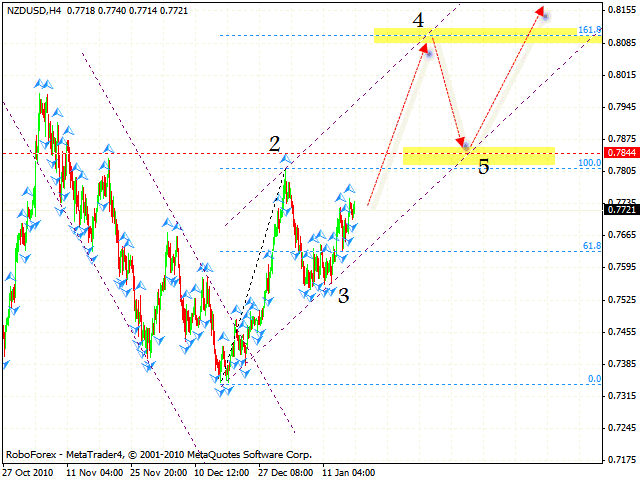 HomeFor ClientsAnalyticsForex Analysis & ForecastsForex Technical analysis and forecastsForex Technical Analysis 2011/01/19. EUR/USD, GBP/USD, USD/CHF, NZD/USD Forecast FX. Forex Technical Analysis 2011/01/19. EUR/USD, GBP/USD, USD/CHF, NZD/USD Forecast FX. As it was expected, the EUR/USD currency pair started to grow. 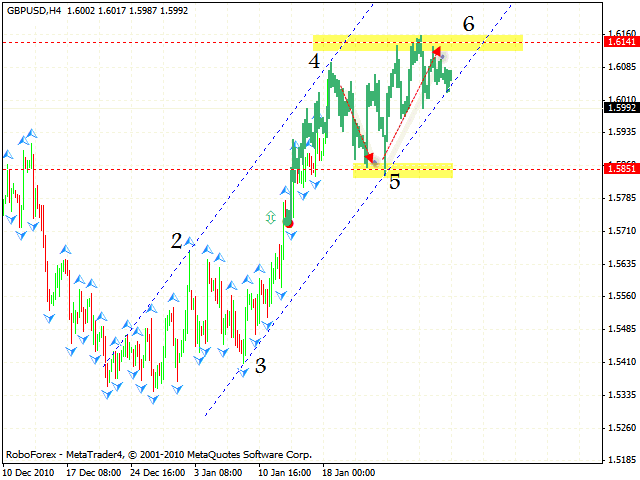 According to the eurusd forecast there is a potential for the development of the rising movement. 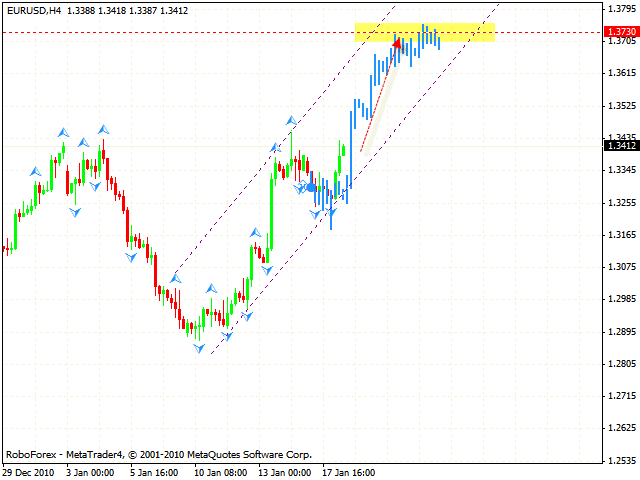 The target of the growth is the area of 1.3730. One can consider buying the pair with the tight stop. Don't forget to move stop into the black as soon as possible. As it is seen from the gbpusd forecast the GBP/USD currency pair has reached the level of 1.6000, which was defined earlier. Currently we can expect the price to be corrected into the area of 1.5851 where we can try to buy the pair with the target of 1.6141. An alternative scenario will be a situation when the price breaks the rising channel. At the H4 online forex trading chart of the USD/ CHF currency pair we have "head & shoulders" reversal pattern forming with the target in the area of 0.9423. One should consider selling the pair while the price is testing the neckline. 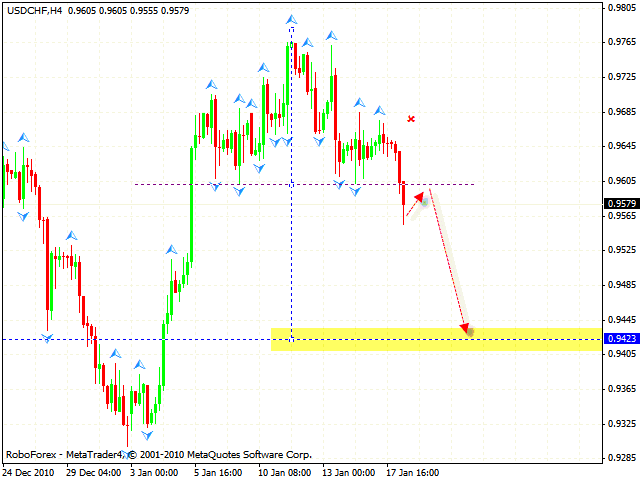 According to the technical analysis usd chf the stop must be above 0.9645. There is a strong possibility that the rising pattern will be formed. According to the nzdusd forecast the closest target of the growth is the area of 0.8100 where we should expect the price to start moving down into the area of 0.7844. Near the rising channel's lower border we can consider buying New Zealand Dollar during long term period. However, if the price breaks the channel borders, one is recommended to stop buying the pair.